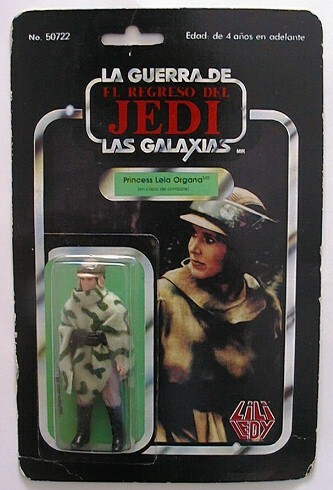 Lili Ledy is the name of the company responsible for distribution of vintage Star Wars toys in Mexico. This line is recognized for its crazy variations like a red/burgundy cape Bib Fortuna, Jawa with removable hood, and 12" Tusken Raider. Lili Ledy has gotten more and more popular with collectors in the last few years.